It's been pointed out that Washington Square Park in North Beach isn't a square, North Beach, isn't a beach and the statue in the center is of Benjamin Franklin instead of George Washington. But lets not nitpick. This park has been called San Francisco's town square and every morning it is filled with a mix of elderly Chinese practicing t'ai chi and elderly Italians travelling to the many cafes and delis that fill the neighborhood. 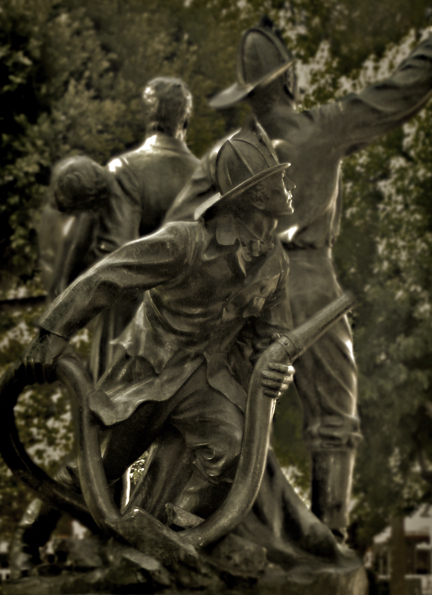 The statue shown here was a gift from Lillie Hitchcock Coit to honor the firemen of San Francisco after the 1906 earthquake and fire.